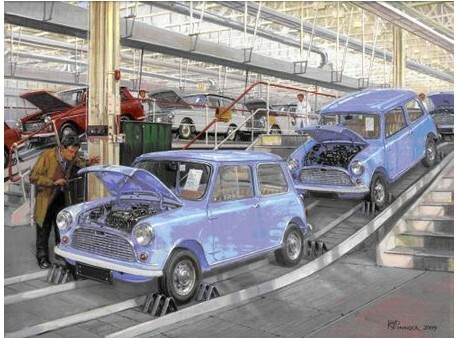 In 1959 a new family car came off the production line in Birmingham. 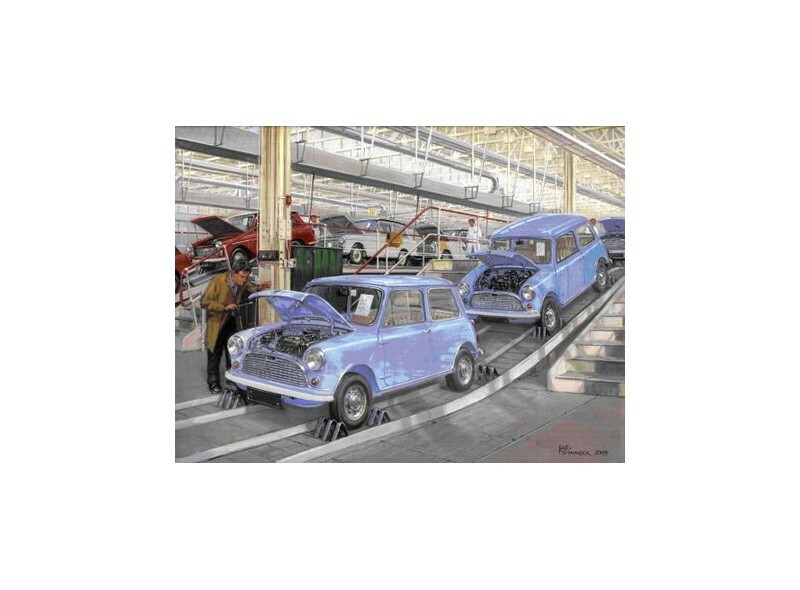 The print capturing the first blue mini "First Mini's at Longbridge 1959" started an association with different varities of the motor car for over 50 years and is as popular now as it was then. The assembly line behind is running the A40 Farina's.